Time for another styled shoot! This particular shoot was for Utah Bride Blog and featured this lovely gown from Mikaella Bridal. 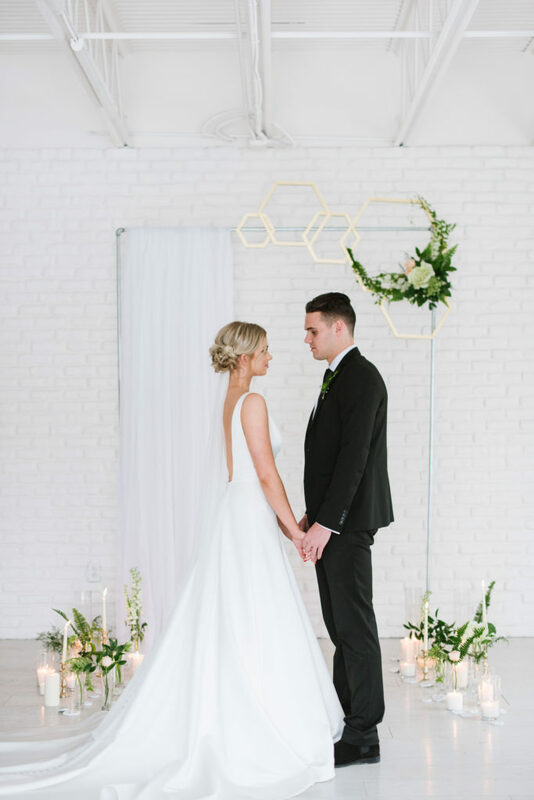 The addition of a mid-century lounge space, metal accents, and a bright backdrop made the perfect combination for this industrial wedding. 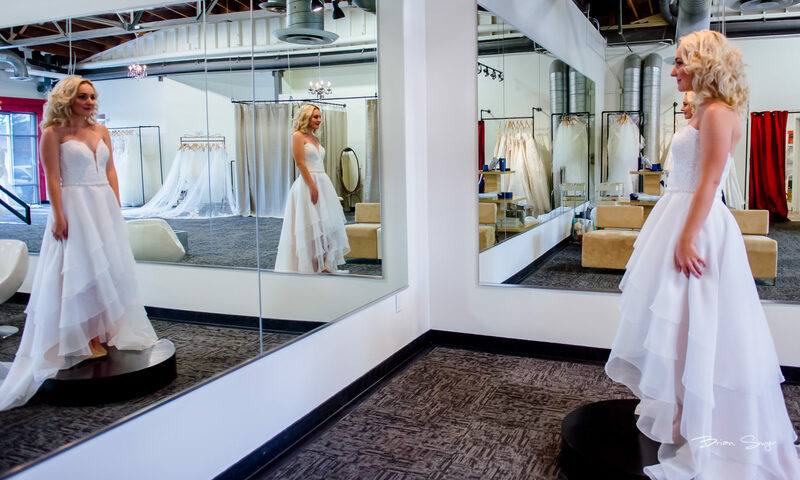 We love Mikaella gowns, and they fit so well for an industrial style wedding! This lovely gem, named Margo, is a crepe dress with an a-line fit and amazing train. It’s simple elegance really makes this bride shine. Check out some more of our Mikaella gowns if you are drawn to the chic simplicity of this beautiful piece. 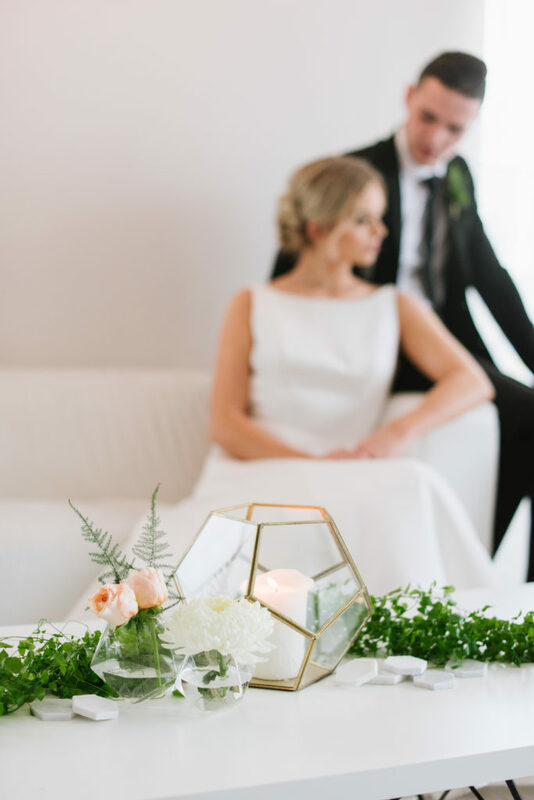 We love the simple geometric style this couple used in their wedding! The shapes really bring a modern glam and industrial feel that compliment the gown so beautifully. Even their cake looks like it is cut from a beautiful slab of marble! 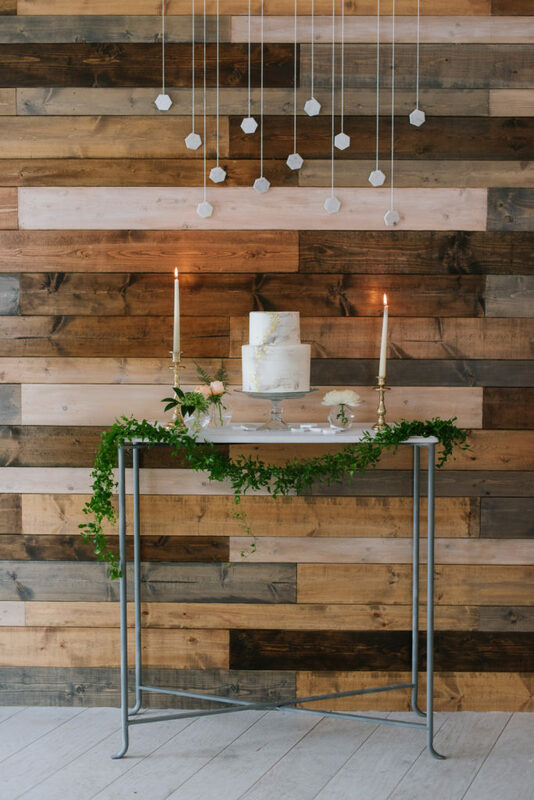 From the lighting to the decor and, more importantly, to the dress, this couple knocked it out of the park as far as the industrial style is concerned! 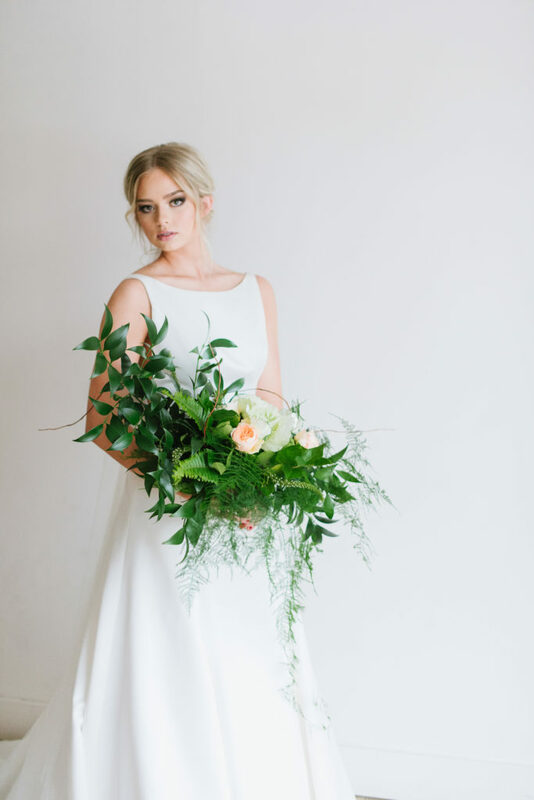 If you’re loving this look and want to find a gown of your own to compliment this elegant style give us a call or schedule an appointment here and we can discover the gown to elevate your industrial wedding! Special thanks to Jalene Taylor for the amazing photography! Hope to see you soon darlings!